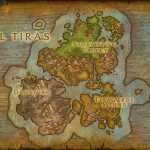 Warcraft is a fantasy game boasting immersive lore in which various races fight for dominion over the continent of Azeroth. Among these are the Demon Hunters, the first of which is the infamous Illidan Stormrage. During the War of the Ancients, Illidan betrayed the Night Elves and joined the Burning Legion, which earned him the scorn of his brethren, even though he had switched sides to sabotage the Legion’s invasion. After the War of the Ancients and due to his betrayal, Illidan was imprisoned below Mount Hyjal, in the Barrows Deep. Then, when the Burning Legion invaded Azeroth a second time during the Third War, Tyrande freed Illidan from his prison, believing he would prove an invaluable ally due to his background. 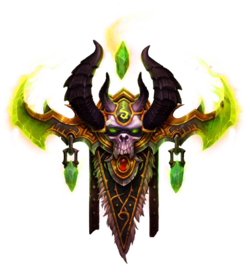 However, Before a battle with a dreadlord, Illidan consumed the fel energies from the Skull of Gul’dan, becoming a Demon and changing his appearance. 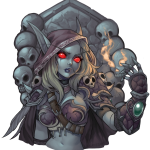 Demon Hunters are a special faction of Night Elves, also called Illidari. 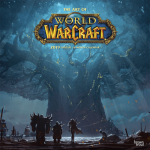 They follow the first Demon Hunter, Illidan, and believe that they must embrace the fel energies and chaotic magics that threaten Azeroth in order to challenge the Burning Legion. Undertaking severe training that often alters their physical appearance, the disciples of Illidan Stormrage are a force feared equally by both friend and foe. Long ago, the Demon Hunters took an oath to fight against the forces of chaos by using their own twisted powers against them. They ritually blind themselves in exchange for a skill called spectral sight, which enables the Demon Hunters to sense their prey better. This also improves their awareness, and together with their magical prowess and agility, they are formidable adversaries. They wield warblades charged with demonic energies and call upon demons to augment their combat abilities.